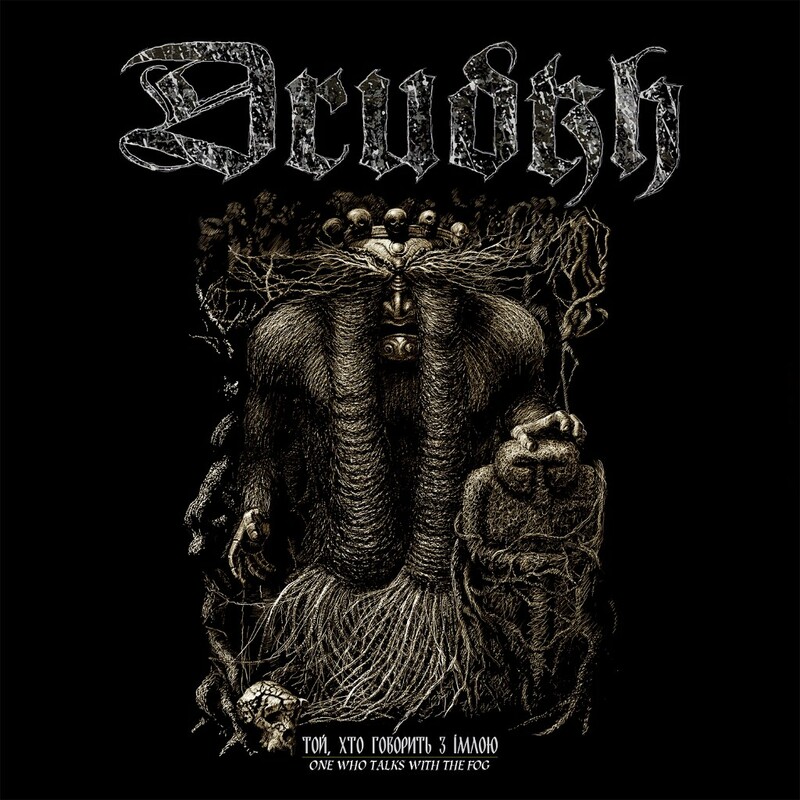 One of the most paramount bands in the black metal genre, Drudkh have crafted a sound that strikes the ideal balance between brutality and atmosphere that is consistently delivered record after record. Their contribution to this split is sublime, “Golden Horse” commences fast and forceful and immediately recognizable for the incomparable majestic sound that Drudkh are so highly praised for. Hades Almighty have returned strong on this split, the inclusion of choral and chanted vocals alongside stompy riffs and sinister growls makes for a memorable listen. Each track is immersed with variety; the concoction of musical elements is riveting and well structured. There isn’t a Drudkh release that should ever go unheard, and their latest opus alongside Hades Almighty is certainly no exception. 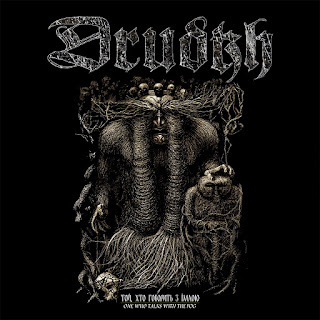 One of the most paramount bands in the black metal genre, Drudkh have crafted a sound that strikes the ideal balance between brutality and atmosphere that is consistently delivered record after record. Their contribution to this split is sublime, “Golden Horse” commences fast and forceful and immediately recognizable for the incomparable majestic sound that Drudkh are so highly praised for. The riffs are emotive and soaring, juxtaposed with the vocal snarl and clattering of blast beats; it’s bold and brash yet imbued with melody and atmosphere. Following on with “Fiery Serpent”, a gloomier more melancholic tone is present, featuring a more expansive sound that once again exudes emotion and atmosphere. With a tough act to follow Hades Almighty bring out the big guns (well riffs) for their input, solidly delivering with an almost modern day Alcest style riff introduction on “Pyre Era, Black!” before the heavily distorted guitars and crashing of cymbals disturbs the tranquillity. Forming in 1992 from Bergen, Norway, and with an arson charge for guitarist Jørn Inge Tunsberg’s for the burning of Åsane church along with Varg Vikernes, Hades Almighty don’t veer far from the stereotype. Nevertheless, their black/Viking metal offerings are very much welcomed after a 15-year hiatus. Hades Almighty have returned strong on this split, the inclusion of choral and chanted vocals alongside stompy riffs and sinister growls makes for a memorable listen. Each track is immersed with variety; the concoction of musical elements is riveting and well structured. If this is a glimpse into future releases from Hades Almighty, then good things are certainly to come. I look forward to a full-length follow up. Labels: Black Metal, Drudkh, Hades Almighty, Heather Blewett, Season of Mist, Split 12"